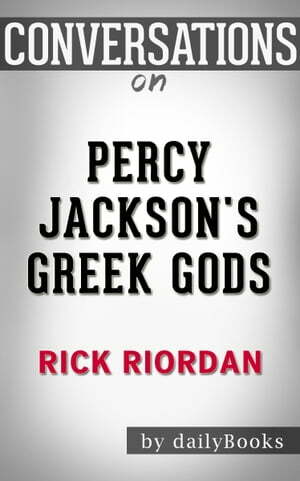 Collins Booksellers - Conversations on Percy Jackson's Greek Gods: by Rick Riordan | Conversation Starters by dailyBooks, 1230001326499. Buy this book online. Disclaimer: This book you are about to enjoy is an independent resource to supplement the original book, enhancing your experience of Percy Jackson's Greek Gods. If you have not yet purchased a copy of the original book, please do before purchasing this unofficial Conversation Starters.